I love it when I stumble across a new stencil line I can add to the StencilSearch search engine, or a unique stenciling technique to share with our StencilTalk readers. Last weekend I was lucky enough to find both in this blog post by artist Jill K. Berry. Jill has designed a set of abstract stencils for Artistcellar, called TEXTures, as part of the Artistcellar Signature Series of stencils. Artistcellar’s stencil collection also includes designs from Chris Cozen and Jane Davenport, some of which Jill used to create these stunning painted papers, sponged with layers of paint. 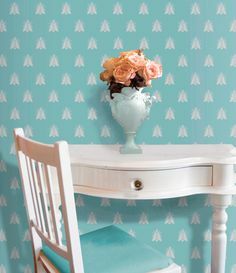 Visit Jill’s blog to view more results of her stenciling experiment.